P = timeoptions returns a list of available options for time plots with default values set. You can use these options to customize the time value plot appearance from the command line. P = timeoptions('cstprefs') initializes the plot options you selected in the Control System and System Identification Toolbox Preferences Editor. For more information about the editor, see Toolbox Preferences Editor. This table summarizes the available time plot options. Create a default time options set. 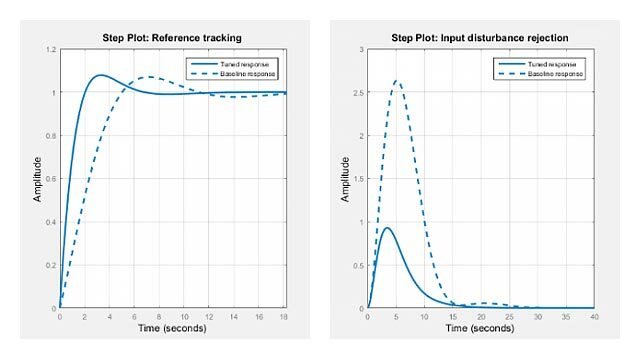 Enable plotting of normalized responses. 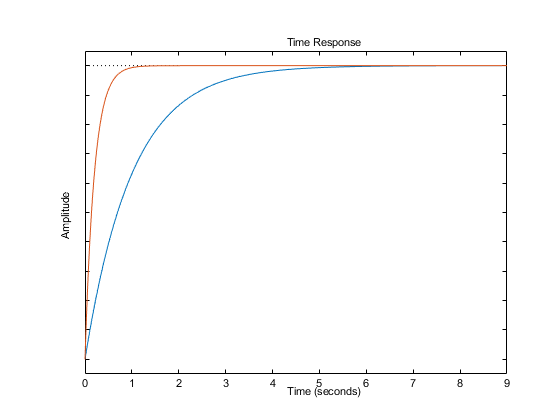 Plot the step response of two transfer function models using the specified options. The plot shows the normalized step response for the two transfer function models.